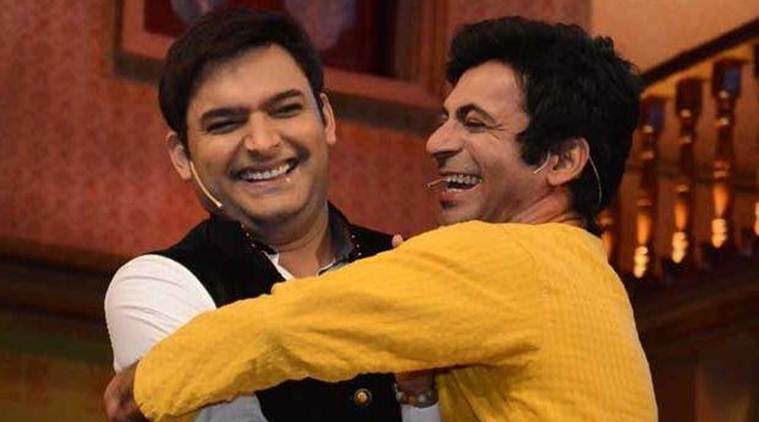 Last year, Kapil Sharma was all surrounded by tons of controversies, the most popular being his in-flight spat with colleague Sunil Grover. With his new show coming by the end of March, we were expecting Kapil to make a strong entry back to his world but looks like nothing is still right with his life. The Firangi actor was said to be addicted to alcohol for a long time and it was taken to be one of the biggest reasons for his failure through the last year. What followed were a couple of evil things from Kapil’s side. With the kind of replies he had to all the Tweets, it is quite clear that he was under the influence of some drinks. 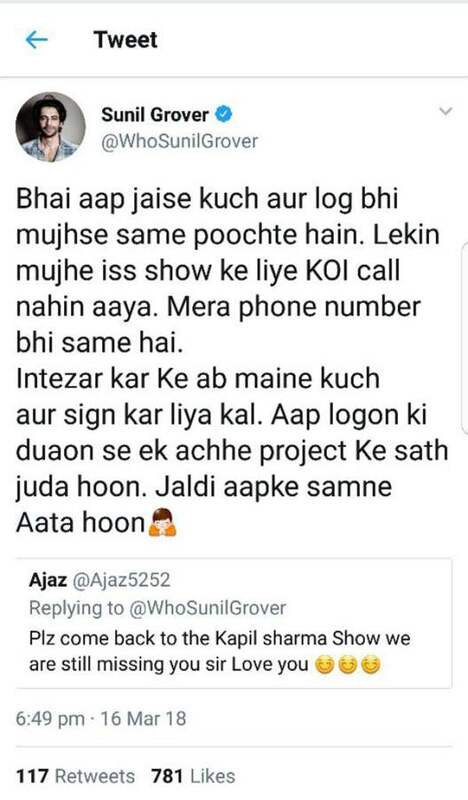 It began with this, “Paji I called u more then 100 times n came to ur house to meet u twice .. every time u were out for some show n all .. pls don’t spread rumors that I didn’t call u.” Post this, Kapil started clarifying every tweet. Now this war between Sunil and Kapil is reaching an alltogether different level. This latest Twitter war will surely create a bigger line of difference between the two. Meanwhile, Kapil Sharma is about to start a new journey with his comeback show and we are hoping it does all good to him. 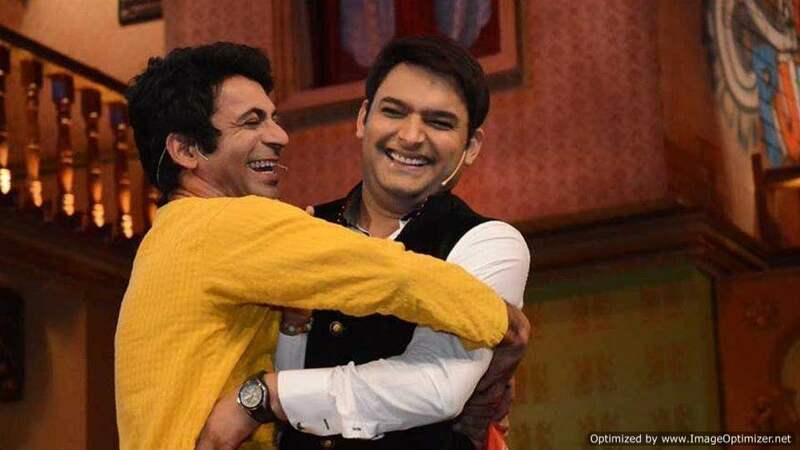 There are reports that two of Kapil Sharma’s previous show members will be a part of his new show, reportedly, Kiku Sharda and Chandan Prabhakar. Rest, we will have to wait and see if Kapil Sharma is able to create his magic again! 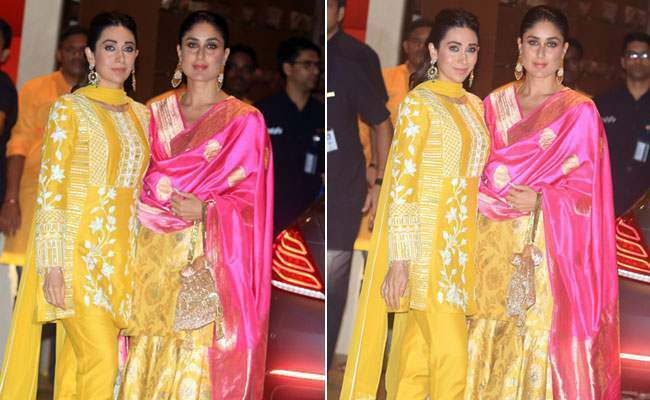 He has already shot the first episode with Ajay Devgn and the teasers of the show are out! Sunil, on the other hand, has himself shared that he is coming back with another project. We will have to wait and see what project is it and how well does it do with the audience. Throwback: Unseen and Unbelievable pictures of Anushka Sharma from modelling days!